The storm that came through last night was all our shade and reading tree could take. That was the third blow. 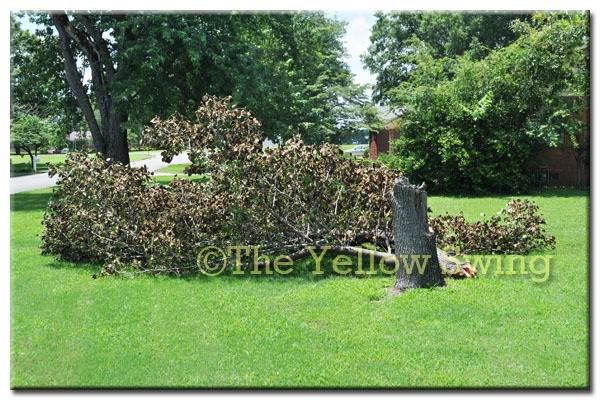 It is gone now and we do not have one standing tree in the front yard of out home. Our property was the only one that was affected.